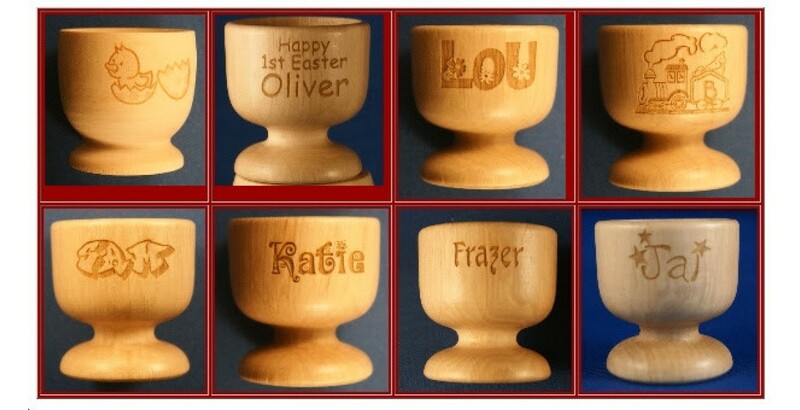 Personalised eggcups in quality hardwood. Engraved and personalised for Easter, Wedding favours or 5th Wedding anniversaries amongst others. Engraved with any design you like.